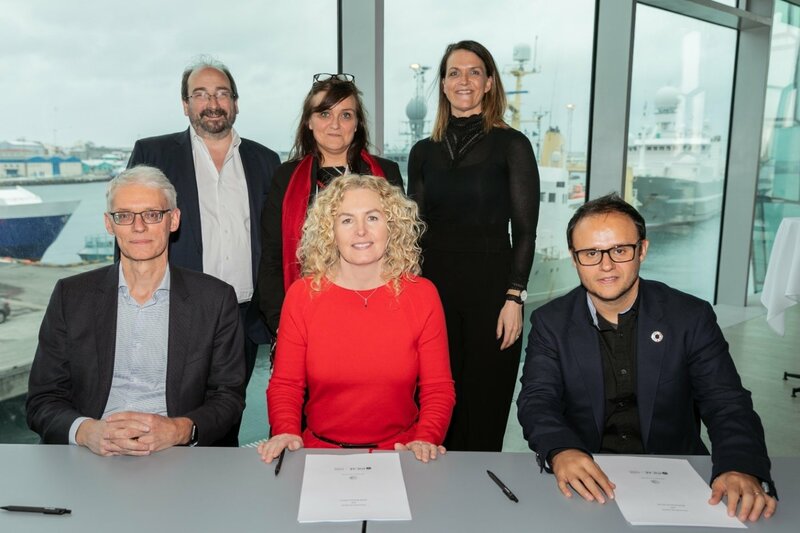 The University of Iceland and INCAE Business School in Costa Rica have signed a declaration of intent regarding collaboration in the field of sustainability and innovation in tourism. The purpose is to explore possibilities in joint research projects and collaboration in teaching and development of course material. Anna Dóra Sæþórsdóttir, head of the Faculty of Life and Environmental Sciences and professor of tourism studies signed the declaration with Sigurður M. Garðarson, dean of the University of Iceland's School of Engineering and Natural Sciences. Jamie Garcia, project director in the field of social progress index signed the declaration on behalf of INCAE. The signing took place at the end of the international conference What Works that took place at the beginning of April. They believe the collaboration will be beneficial to both parties. Even though the two countries differ in many ways there is common ground when it comes to the build-up and role of tourism in Costa Rica and Iceland. Tourists choose these countries for their unique nature, tourism has grown considerably in a short period of time making it important to develop infrastructure, know-how, and innovation. Costa Rica is leading in the development of sustainable tourism as per the United Nations’ Sustainable Development Goals, and the INCAE Business School places considerable emphasis on this in their programme. Sustainable development has been a key factor in tourism studies at the University of Iceland in line with the United Nations’ Sustainable Development Goals which highlight the importance of education and research in the field.